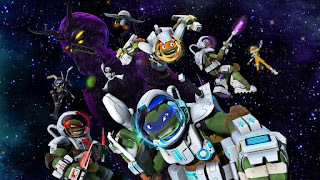 Pablo Gunner talks about and reviews Season 4 of the 2012 animated TMNT show. First of all if you're not watching the animated 2012 Teenage Mutant Ninja Turtles show and you call yourself a TMNT fan you're a dweeb. I personally just got caught up by binging season 3&4 but I've been watching this show since the beginning. It's a fresh, new, 3D, CG take on the turtles that incorporates and pays homage to so many great TMNT universe comics, shows, movies, games, toys, stories, characters, and more, all while doing its own thing. I can't believe the top notch talent that Teenage Mutant Ninja Turtles has in Season 4. They have David Tennant, Peter Stormare, Michael Dorn, Keith David, Ron Perlman, Lucy Lawless, and even Charlie Murphy, amongst many more from previous seasons. 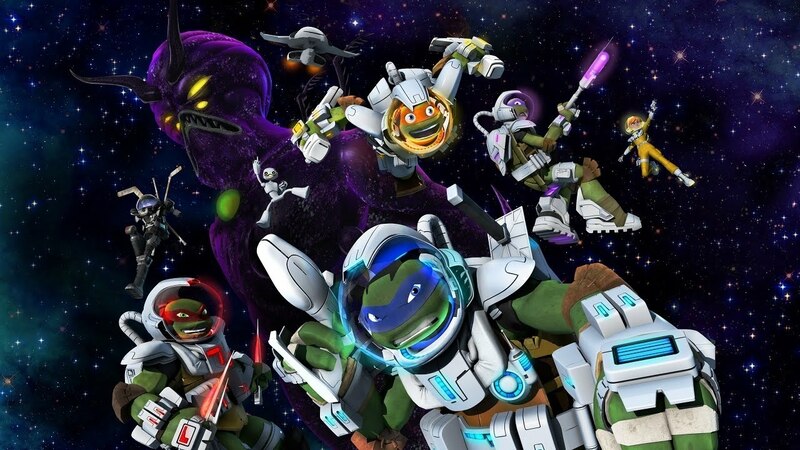 In this season the turtles are recruited to go into space and back in time to stop the Triceratons from destroying earth by Fugitoid who is voiced by David Tennant aka Doctor Ten aka Doctor Tennant. They make an insect overlord enemy from the get go, face off against a space shark bounty hunter, and Raph even falls for a Salamander girl voiced by Zelda Williams. It is a nonstop fun, totally tubular, radical, knarly ride from beginning to end and I'm so jacked off about season 5 that started Sunday the 14 of August. So duh it's a MUST SEE!